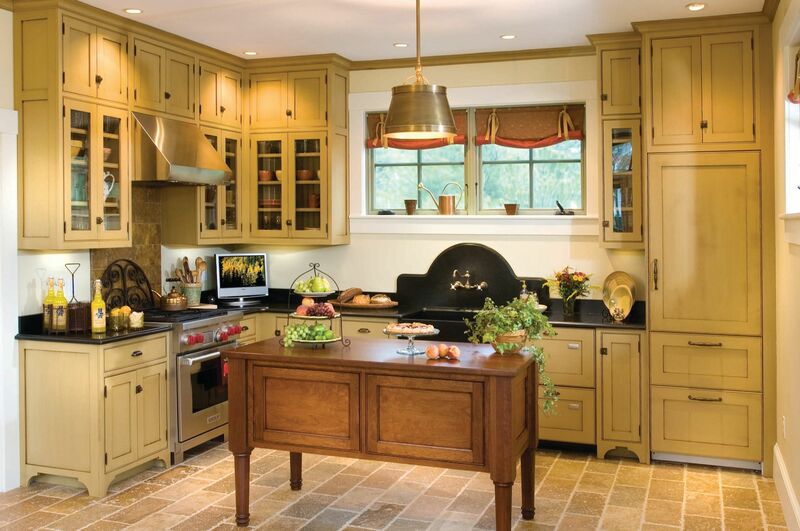 K&K Model Home & Carriage House - SMOOK Architecture & Urban Design, Inc. 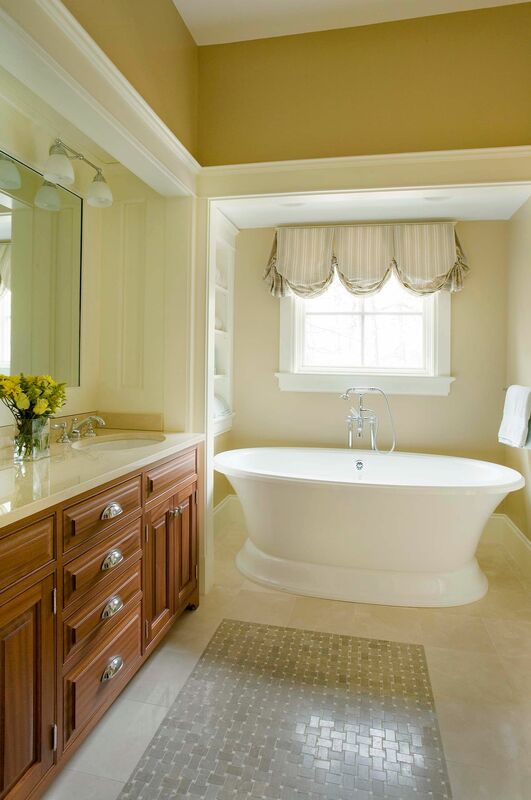 This 3,500 sf model home was designed for Kistler & Knapp, a high-end builder of residential projects based in Acton, Massachusetts. 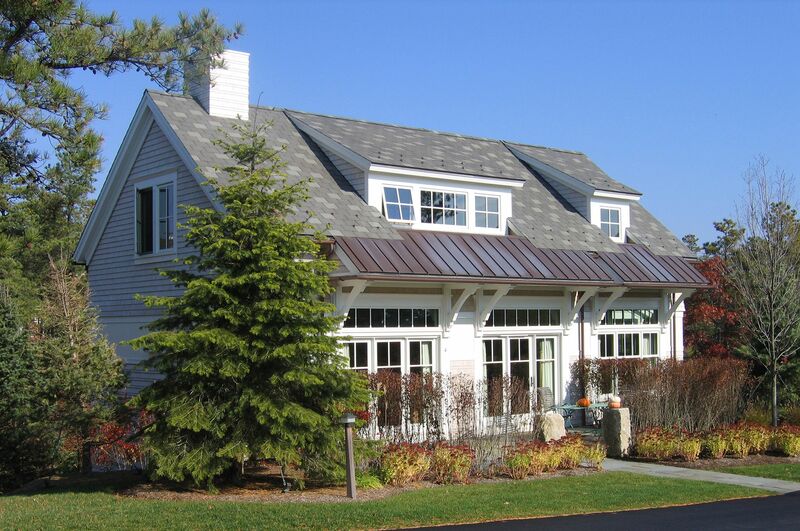 The design was constructed at the Gallery of Homes at The Pinehills. 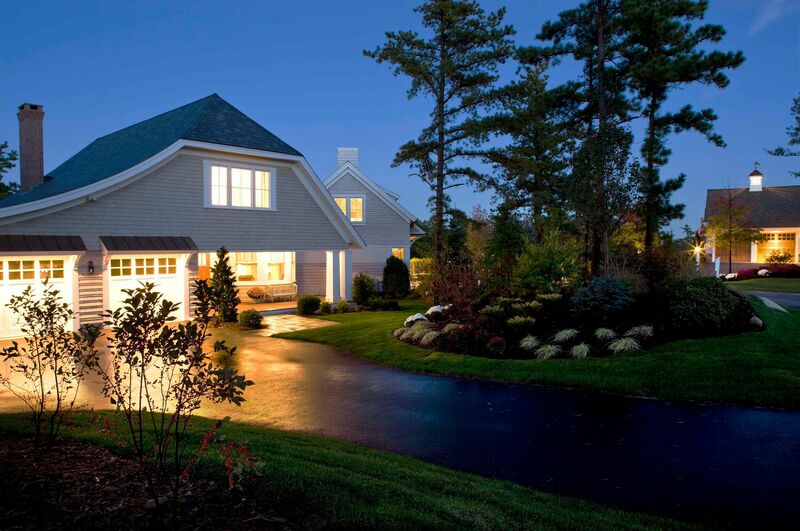 The design draws strongly from both shingle-style and bungalow-style vernacular architecture. This three bedroom home is also known as the “bridge house,” because it is discretely connected to a “carriage house”/Sales Center by an enclosed bridge. The Sales Center was also designed by SMOOK Architecture & Urban Design, Inc. several years earlier. The connection of the two homes creates a dynamic and complementary composition. Each home has its own living space, full kitchen, and bedrooms. Conceptually speaking, the “composite” home is intended either as a home for extended families, or as a home with a guest house for visitors.